"In winter… I am going to build a snowman! What are you going to build? En invierno… °Voy a hacer un muñeco de nieve! ¿Qué vas a hacer tú?" In winter, there are so many things to do: build a snowman, drink cocoa, catch snowflakes on your tongue. What are you going to do in winter? 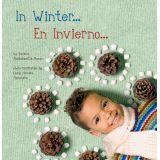 With vibrant photographs and text in both English and Spanish, In Winter / En Invierno will soon become a story time favorite. Infant- Toddler. Boardbook. C'est le temps du carnaval. Le premier depuis le départ de la maman de Malaika pour le Canada. Celle-ci est partie dans l'espoir d'y trouver un bon emploi pour pourvoir aux besoins de sa famille. 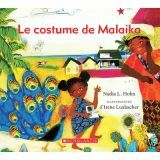 Elle avait promis qu'elle enverrait à Malaika de l'argent pour acheter un costume pour la fête, mais l'argent n'est pas arrivé. Malaika pourra-t-elle tout de même participer au défilé? Une histoire touchante sur la famille, l'immigration et la célébration du carnaval. 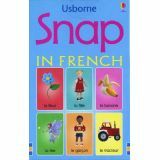 L'écriture chaleureuse et simple de Nadia Hohn et les illustrations vibrantes de style papier découpé créent un album unique et haut en couleur. PreK–Grade 2. Paperback. 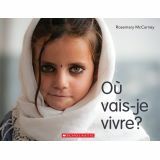 This stunning photo-based picture book for younger readers takes a look at the thousands of children around the world who have been forced to flee war, terror, hunger, sickness, and natural disasters-young refugees on the move with very little left except questions. It's hard to imagine, but the images here will help unaffected children understand not only what this must feel like, but also how very lucky they are. The final message is that children, even with uncertain futures, are resilient and can face uncertainty with optimism. Gripping images are from the The United Nations High Commissioner for Refugees.